In small bowl, wisk together eggs and spices. Set aside. In a medium skillet at just above medium heat, saute the mushrooms in half the butter (1 teaspoon) until tender; set aside. In same skillet, melt half of the remaining butter (1/2 teaspoon). Pour half of the egg mixture into skillet. Cook, lifting edge to allow uncooked portion to flow underneath. When almost set, spoon half of the mushrooms over half of the omelet. Fold other half over the mushrooms; slide onto a serving plate. This recipe has roughly 8 grams of carbohydrates. If all the ingredients are fresh, this omelet will be a huge success. 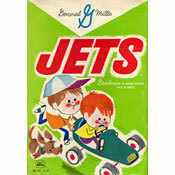 I tried with canned mushrooms once and it just wasn't the same. Mr Breakfast would like to thank newjerseygal for this recipe. 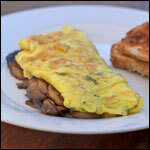 What do you think of Mushroom And Herb Omelet? Added two slices of Swiss cheese to each one and they were great. Great Breakfast! 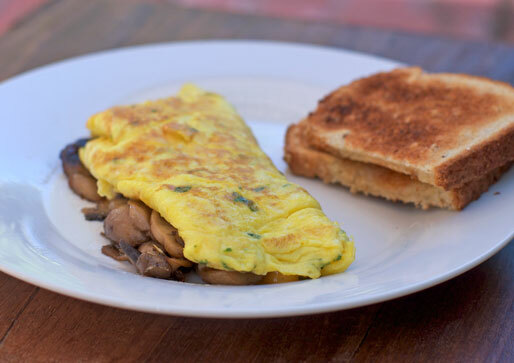 I sauteed the mushrooms in a little Worcestershire Sauce and added a little 'Better Than Bouillon' beef flavoring before I folded them into the omelet and I loved it. I used coconut oil instead of butter. Great recipe! Awesome and too good for health also. Turned out very good. Also sprinkled with grated Parmesan at the end. Mmmm. Cool axaming. It was great. Excellent! Fresh herbs and sauted mushrooms went so well together. Shame on you Mr Breakfast... now my wife thinks I can cook and I have to make breakfast tomorrow too!